Coffee is the first drink that most people like to have in the morning. Having a hot drink provides delicious taste and remarkable functions. Coffee drinkers turn to best machines for speed and convenience. This definitive guide to the seven top rated coffee makers in 2019 talks about everything you need to understand before you purchase one to achieve your satisfaction every morning. By comparing speed, size, price, and performance and with experts’ recommendations, you’ll be able to identify which machines to be your companion in 2019. The bottom chamber is the area where the water is placed. Tube and basket allow you to put the coffee ground. The top part is a vital area where the steam or coffee is pushed. A lot of people aim to begin the day right with loads of energy. Moccamaster 59616 KBG is a must-have for your every morning routine. In just 6 minutes, you can quietly brew coffee with this easy to operate machine made with durable metal housings, BPA/BPF/BPS, and Phthalate free plastics. You can purchase this equipment and choose from various colors such as metallic black, metallic white, metallic red and polished silver. It’s a one-of-a-kind coffee brewer as it has automatic drip-stop brew-bag with glass carafe. When the water tank is empty, it even switches off by itself. Most users say that this coffee maker maintains the quality and taste of their drink. It’s convenient to have a companion every morning or any time of the day to keep you energized. Meeting the Gold Cup standards of the Specialty Coffee Association of America, KitchenAid Pour Over Coffee Brewer is a beautifully designed coffee brewer that bears a resemblance to the manual pour over process. Without manual effort, you can always ensure a steady imparted flavor with this machine, and it allows you to heat the water from 198 to 204 degrees Fahrenheit and make decreased heat loss during the withdrawal process. The dimensions include 11.3 inches (length), 8.7 inches (width), and 15.1 inches (height) and the starter pack has free paper filters, coffee scoop, and 8-cup glass carafe. Your morning has never been more comfortable with the top tiny coffee maker to help you maintain your alertness. Bunn 10-Cup Velocity Brewer is a space-saving machine. Easy to use, its size of seven inches in length makes it a compact coffee maker that has multi-stream spray head that showers hot water uniformly over the coffee grounds. In just three minutes, you can have available coffee drink for 10 cups. This coffee brewer with an excellent top lid and spout design that arcs the pour of the coffee into the cup to prevent mess can fill 10 cups. The dishwasher-safe carafe lets you have less stress in the cleaning process. With porcelain-coated warming plate, the product passes the North American Electrical Standards. Its dimensions include 9.1 inches (width), 11.6 inches (length), and 13.7 inches (height). The large flat bottom filter and funnel bring excellent flavor extraction. Have a stronger and bolder coffee flavor through the top cutting-edge coffee maker. The Breville Precision Brewer has automatic presets (6 unique brewing modes) and is customizable. The available settings include the following: fast, strong brew, ice coffee, cold brew, my brew, and gold cup. You can always have a balanced coffee the way you like it as you can fine tune to your taste by regulating bloom time, brewing temperature, and flow rate. Breville Precision Brewer does the work for you. With this, you can fill up to 12 cups and guarantee consistency because of its impressive level of control. This coffee brewer has a stainless steel exterior with advanced hardware. Many coffee lovers like it because it’s extremely flexible providing them a comfortable life. Its dimensions include 12 inches (width), 7.5 inches (length), and 15.75 inches (height). A single dial enables you to set the number of cups and the 24-hour start clock. Innate LED interface has a backlit screen that shows the status of the machine and freshness indicator. One More Thing Before You GoThere is a love for coffee all around the world. Coffee makers are what coffee drinkers are watching out every year. 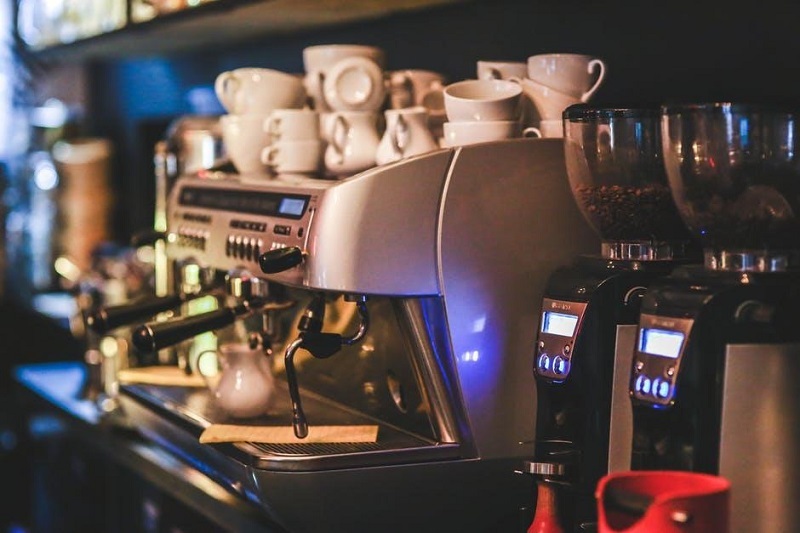 For your daily use, consider the seven top-rated coffee makers in 2019 discussed above to help you have simple and easy way to make a freshly brewed coffee any time.